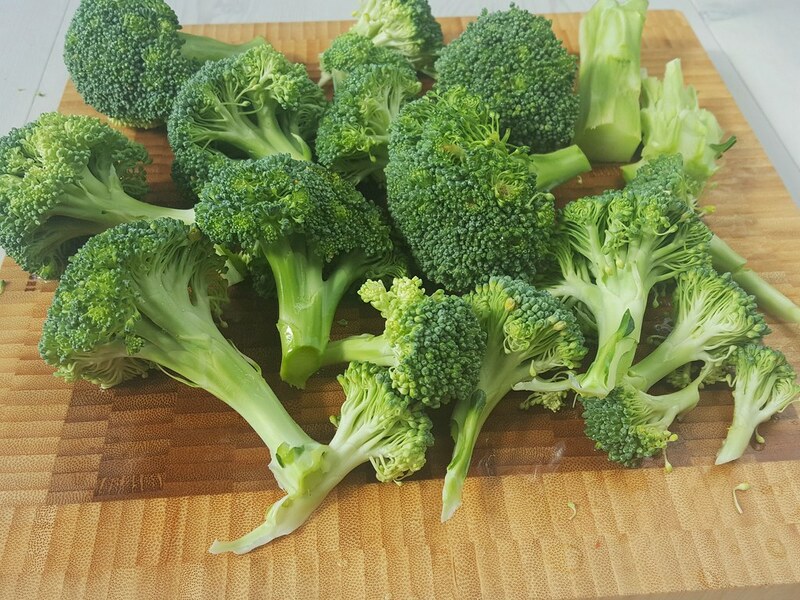 If you have read my recipe how to steam broccoli and why you should not boil it like many people does – then you know much I love broccoli. 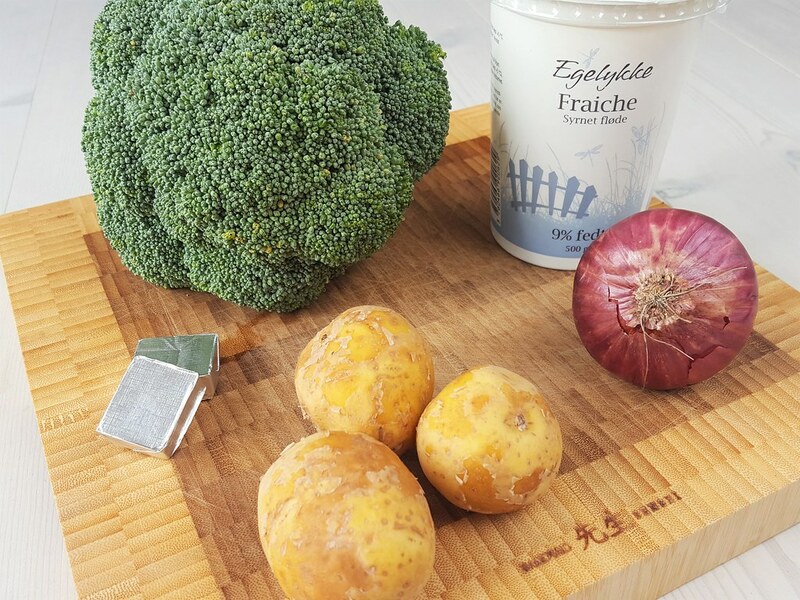 I think that broccoli have a wonderful fresh taste and the fact that it is packed with great vitamins and nutrition only makes it way better to eat. You simply sit back with a great feeling after you have eaten this great vegetable. 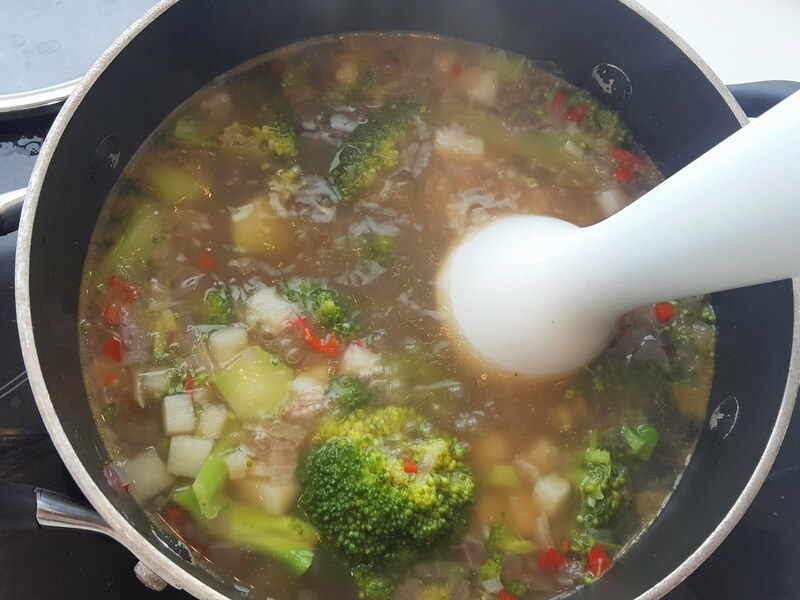 This time I would like to show you how to make a super delicious broccoli soup. 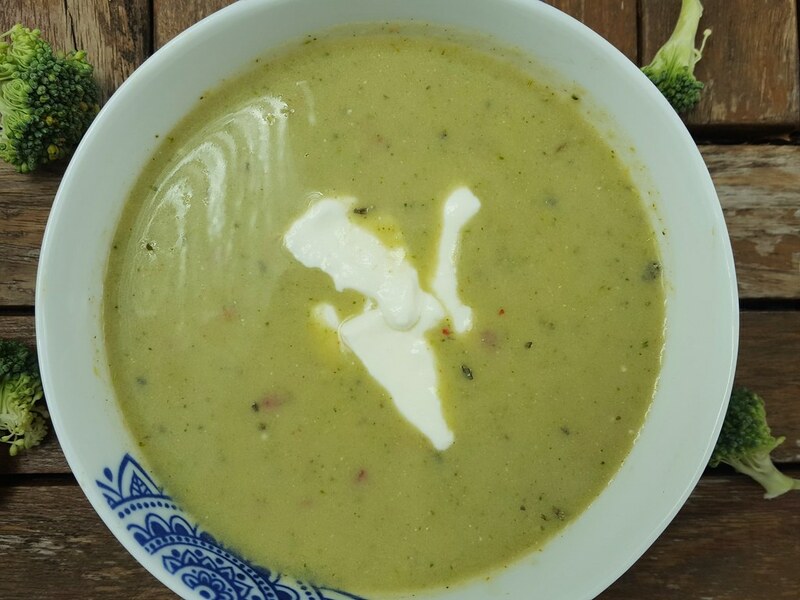 A broccoli soup can be eaten all-year around. However, it is of cause especially great for the wintertime if you live a place where it gets cold outside, like I do. Then a warm soup with a slice of fresh bread is just the best. 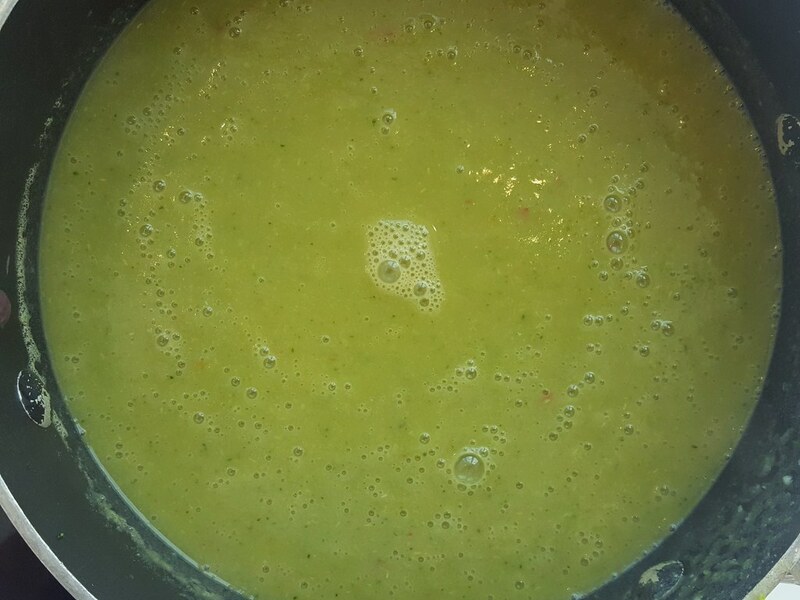 This broccoli soup has a great taste, consistence and color. The soup is quite simple to make and it does not require any special skills. The recipe I have presented below is the way I prefer to serve this soup. However, I suggest that you try to experiment a little bit with the recipe. For instance you could try to add cubes of crisp bacon as topping or maybe add some chili if you like that. It is basically only you imaginations that are the limit. 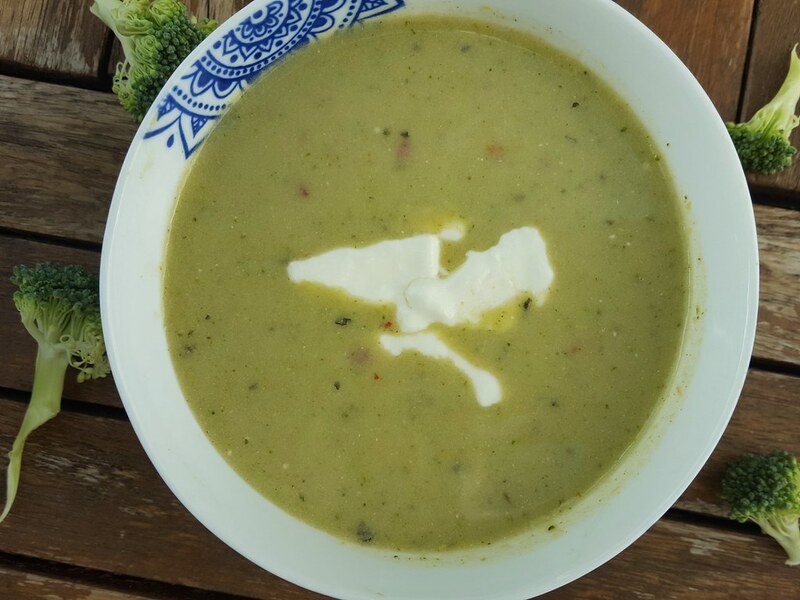 I have done some experimenting my selves and it ended up with this broccoli soup with chili and coconut milk – a bit more tropical version of this delicious soup. 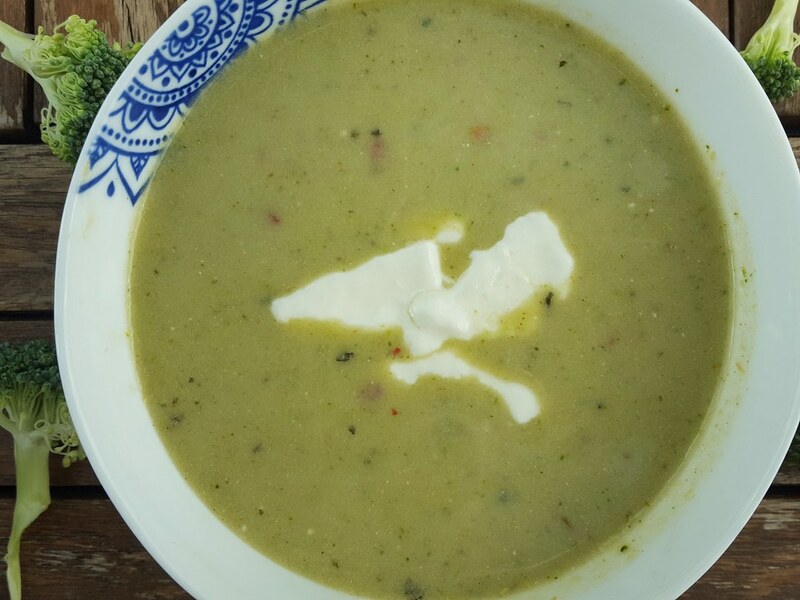 If you can recommend some other versions of this soup, then please share it with me in the comment section below. If you have some extra broccoli I can recommend this broccoli salad which I think is super delicious. 2. 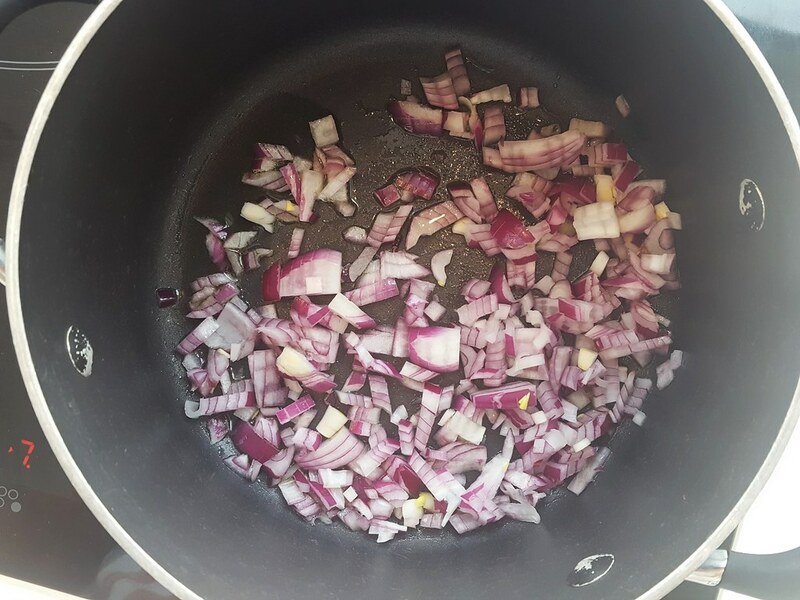 In a saucepan; add 2 tablespoons of oil and fry the diced onion for about 1 minute. 3. 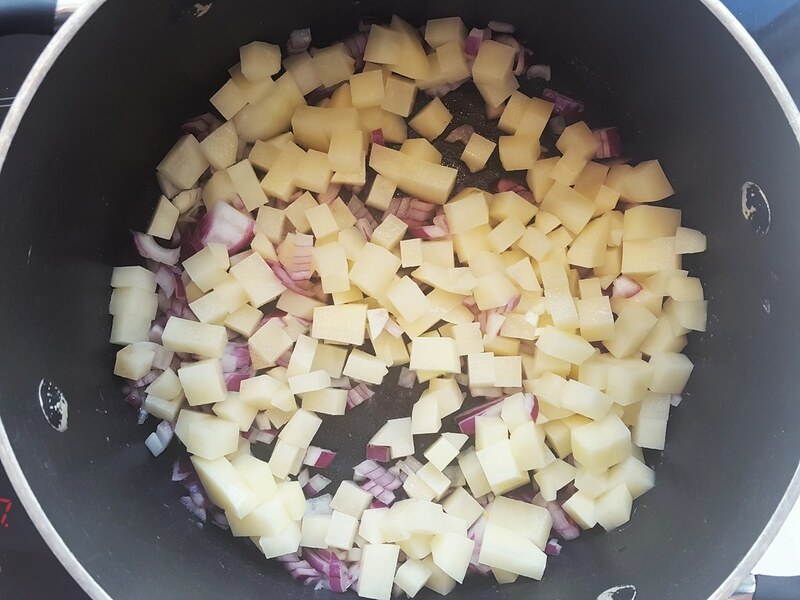 Add the diced potatoes and fry for another 1 minute. 4. 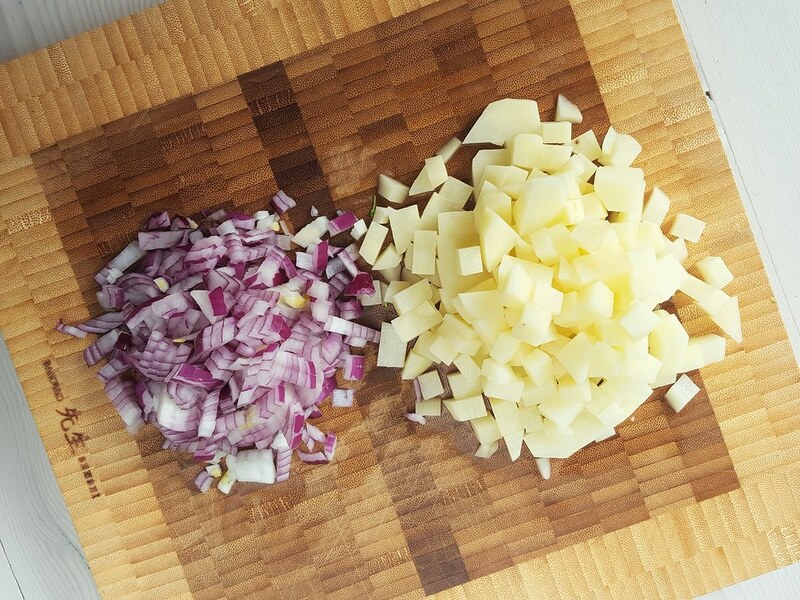 Make 1 liter (1/4 gallon) of vegetable stock and pour it in the saucepan together with the onions and potatoes. I used stock powder, which I mixed with boiling water. 5. Let the soup simmer for about 10 minutes. Meanwhile, rinse the broccoli and cut it into smaller pieces. 6. 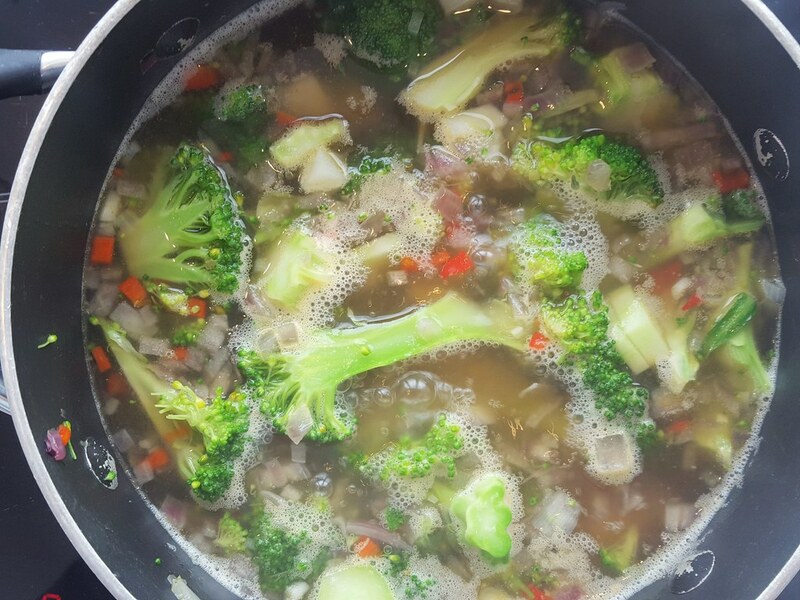 Add the broccoli to the soup and cook it for another 20 minutes. 7. 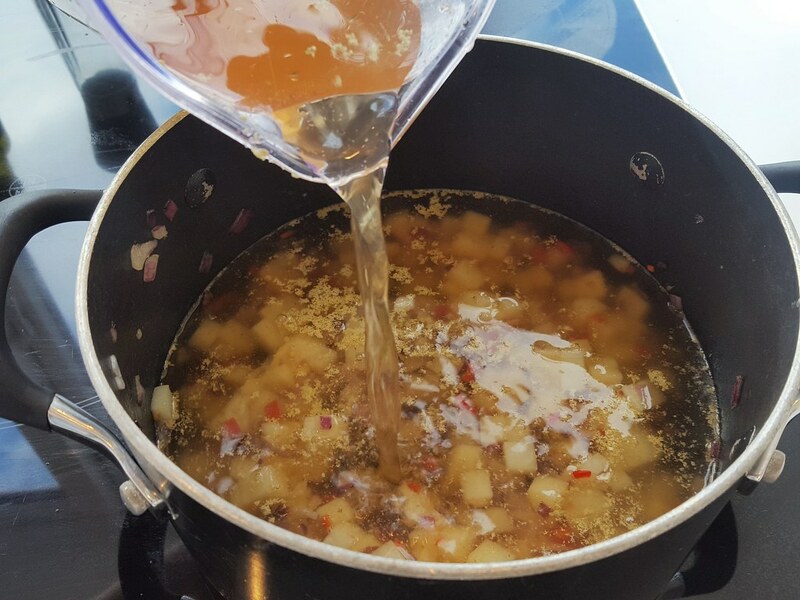 Using a hand blender; blend the soup, directly in the saucepan, until it has a smooth and even consistency. 8. Finally, add the milk to the soup and heat it for another 5 minutes. If you prefer a more thick soup, add some cornstarch or other thickener. Then it is ready to be served.